So... had an interesting cyber experience this summer as a result of going to federal court with my Dad in Nevada - my first personal experience with trolls. A lot of my dad's friends seem to not like it so much (I guess having lies told about you constantly isn't the most fun) but to be honest everything that was said was so outrageous I found it hilarious. Yes, I laughed. A lot. I mean - publicity is good, whether positive or not, yes? Lol... not exactly ;p But still - very funny. I think you all remember I went to a writer's conference in July? I wrote about it here. Now, some info for y'all. My dad does politics full time. Meaning he attends all the trials for the men involved with the Bundies and other men who are being prosecuted, as my Dad feels, wrongly. He updates the public through his Facebook page, reaching thousands of people and telling them what happens in the courtroom. Letting many people know about things that they would otherwise not ever hear about. As my dad does this full time he can't work, so people occasionally help out with donations. At this specific time his sister was getting married and people gave more money to help him travel down to her wedding. Like anything, there are haters. And Dad has many of them. Like any idiot - these people decided to jump to conclusions. They decided since I was with my dad attending a writer's conference he must have payed for it. In all honesty, I used my own money. Which I work for very hard. My dad was returning from the wedding to the trials in Nevada. For quite some time he had wanted me to attend court with him. This happened to work out. We drove to Nevada, stopping at my conference. While I was with writing friends Dad was staying somewhere else continuing his political research. And then we continued on up to Las Vegas where I spent a week in court with Dad before I had to return home to work. After this I guess they decided to stalk me a bit I guess? They shared my post I wrote about my time in Las Vegas. But not in a positive way... lol. But his readers seem to think he's smart for making fun of how I align my text. To be honest I was quite surprised they didn't say anything about the pink, lol. "...At least can spell." HAHA! Thank you...? to be honest, I'm not really that great of a speller. Auto-correct is truly a friend, and my readers who will occasionally point out to me, "You need to change this before too many people see the horrid thing you just wrote!" I'm glad they liked my headline: "Corruption is obvious. But what are we going to do about it - beyond ranting?" I hope you all enjoyed this post. I know it's a bit different than I normally do. But these people drew a lot of traffic to my blog. So it's only fair I gave them just a bit of thanks :p Laughter is always good? But comedy is good - so maybe we shouldn't stop the idiocy? *roll eyes* People are crazy sometimes. That troll just needs to go back under his bridge and hush. And learn how blogs work! I can't believe how ignorant people are. You are strong and you are wise. I love your political posts, Keturah. Keep speaking the truth. This isn't about what others think. Trolls are just people who have no life anyway. This honestly made me so mad, because why do people have to be so hateful? Sheesh, I feel sorry for those trolls, their lives must be void of all hope and happiness if they have to take their frustrations out on others. Things like this used to make me pretty mad too. It’s worse when it comes fro people you thought you *actually* knew. It does make me wonder, too, what sort of lives they lead to have time for this?? Thank you!! Ugh. This is awful. I'm sorry that these people treated you and your family so poorly. But I am glad you found the positive in the situation. You honestly made me laugh at your commentary! Just to clarify. The criticism your dad receives is because he is supporting domestic terrorists and anarchy by grossly inaccurate retellings of court proceedings. If you dispute my claim I beseech you to compare his "reports" with trial transcripts from any given day. Here's either very dumb or very dishonest or possibly a combination of both. His malapropisms are so plentiful and recurring it makes the first explanation most plausible but his extensive criminal record gives Credence to the second. I'll check back regularly to see if you delete this post to see how you value free speech. First, I only delete spam or comments with language. Second, if you’re so worried about having a voice/ honesty where is your name? Third, I’ve been to several of the court trials myself. I don’t know what transcripts you are reading, but as of yet my dad has not wrongly interpreted anything that I know of. From when I was there he wasn’t able to fully tell just everything that does happen. Fourth, criminal record has nothing to do with any of this. That is just throwing out an untrue insult to make your claims seem more plausible. Fifth, I do not value free speech as much as I value rationale love. And truth. I choose to respond anonymously because I've seen Bundy supporter targeted harassment first hand with my own eyes. No thanks. Do you deny that your dad has a criminal record? Virtually every transcript that reveals sidebar discussions is wildly at odds with your dad's speculation. That's only the beginning of his misrepresentations. Virtually everything he's claimed about Navarro's intent to deprive the defense of a fair trial was contradicted when she declared a mistrial. Is John too proud to admit his mistakes when they're revealed? Truth is simply a claim that is verifiably true. By that standard very little of what he claims outside the courthouse could be called the truth. Very biased misrepresentations are half-truths at best and fabrications at worst. And yes, I deny that. Even if it were true, which is absolutely is not, it would have nothing to do with this post. It's a very rude and hateful accusation, and you should at least practice some thoughtfulness, maybe some honesty, even if you don't want to reveal your name. Those last two paragraphs are too outrageous to respond to. In the future if you'd like me to respond to you more seriously, use your name. Thank you, and have a happy new year! Wow, this is crazy! And that they're even insulting people who comment... that's just out of bounds, man. Even though you seem to be taking this pretty well, I just gotta say, I really enjoy reading your thoughts, especially on the controversial stuff! You have such a wise perspective and a blunt yet loving way of putting things. It's awesome. Ah, thanks Alexa! Your comments are encouraging, as always. I know I’m blunt, get told that a lot. But it’s nice to know it’s not all coming out soundin wrong. I really never intend to offend anyone. I just love thinking and sharing and talking! I am so sorry that this happened to you Keturah!! Trolls are just people who don't have anything else to do. 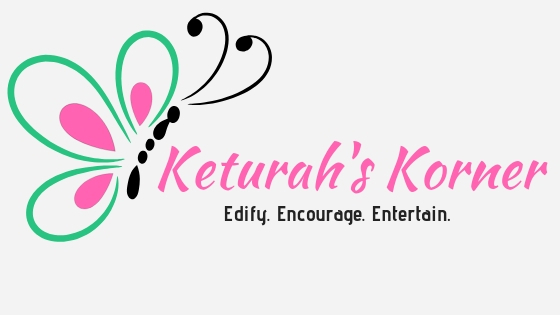 Don't listen to them Keturah, you are awesome!!!!!!! !